relating to International students Teir 4 Visa's (Points based system). Visa's and extensions based living costs (and fee payment). I was asking for consessions for International students where there is an interuption of cash flow due to natural disasters (we have had a few of these this year eathquakes, flooding, tsusami's etc). ...well they are virtually financing the higher education system in the UK. And contibute over £5 billion to the UK economy. Wife is in the UK currently doing a Masters degree at UCL and freelancing as a teacher of Russian in the financial & legal sector. Is there any chance of you posting a travel report and telling us all about your Russian adventure? It is very nice reading about other peoples experiences, and also a learning curve for any new members. I hope you will have the time and also the will to write and let us know. 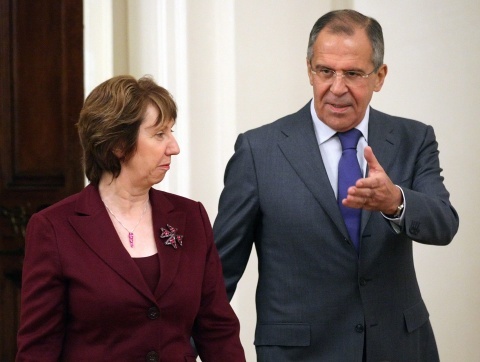 Following a meeting with EU foreign policy chief Catherine Ashton, Lavrov stood firm in insisting that negotiations on scrapping the visa regime can only begin when a so-called common steps agreement on what requirements are needed has been fulfilled. Lavrov and Ashton told reporters in Moscow that they hoped an agreement will be sealed at a summit in Brussels next month, but Lavrov's comments suggested that the two sides were still far apart. "We agreed that once all those common steps are implemented, we'll start negotiating an agreement for a visa-free regime," he was quoted as saying by Interfax. In one concession, Lavrov indicated that Moscow has dropped its demand for a road map with a clear time frame. A senior diplomat had said earlier Thursday that Moscow won't sign any agreement if not given a road map. "Without a clearly defined perspective, we won't agree," ambassador-at-large Anvar Azimov told Interfax. But EU officials have been adamant that Moscow first has to meet a large number of conditions before setting a time limit. "There cannot be an automatism," Soren Liborius, spokesman for the EU delegation to Russia, told The Moscow Times. He stressed that the common steps would be a "long list" of conditions that would have to be met by both sides. The conditions have not been published, but officials have said they will range from technical issues like biometrical passports and secure outer borders, to legislative ones like asylum policy agreements ensuring that illegal migrants can be readmitted to their last host country. "That's where the real work has to be done," Liborius said. Visa policy gained salience in relations with Europe after Spain launched an initiative last year to liberalize travel restrictions with Russia. The Kremlin subsequently pushed Brussels on the issue, and Lavrov has said regularly that Moscow is ready to abolish visas "tomorrow." Read more:18 November 2011 By Nikolaus von Twickel -The Moscow Times. .
MY COMMENTS: Usual Russian propaganda...... when anybody can understand that is the Russians who stall ........ because or the illegal stayers. They don't want to sign the agreement that they must accept back anybody who travelled illegally or overstayed their visa, to the EU. That is not surprising, because from what we can see, is that the Russians don't make any effort to make the process of getting a visa to Russia any easier, on the contrary. From the article, by Putin, posted on the Forum FSU News. Obviously he is referring to the information on the previous post. In a conversation that I had, a while ago, with an official from the EU he has confirmed the details and in his view, hopefully, they will start the implementation of the Visa free regime by the end of this year! I hope he is right and both, the EU and Russia, will not create any more problems and abolish the visa requirement for EU citizens, as also for Russians. An agreement between Russia and the European Union to ease visa requirements for travel between the EU and Russia is being delayed due to a lack of consensus on the issue of granting visa-less entry to holders of so-called "official" passports, a Kommersant report said Wednesday. The two sides are close to completing an agreement that would make five-year multi-entry visas standard for members of official delegations, businessmen, participants of scientific, cultural and sporting events and exchange programs, journalists, and truck and bus drivers with international routes, Kommersant reported. The accord would also make it possible for repeat visa applicants to receive five-year visas. But completion of the agreement is being held up by EU concerns over Russia's insistence on granting visa-less entry to holders of official passports, which in Russia are given to a range of state employees, including consulate employees, members of the armed forces stationed abroad, federal and regional civil servants, employees of state corporations, and workers at state organizations, including the Central Bank, the presidential administration and the State Duma. 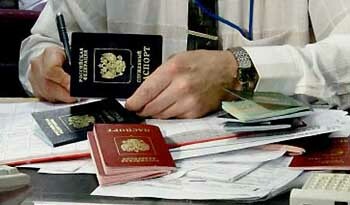 There are currently around 15,000 holders of such passports in Russia, according to official data, Kommersant reported. An unnamed EU diplomat told the daily that Brussels is concerned that such passports are granted to more people than they are supposed to be. "Receiving an official passport in Russia, as in the majority of EU countries, is easier than [receiving] a diplomatic one. We have doubts regarding the observance of rules for issuing such documents," the source said. An unnamed Foreign Ministry source told Kommersant that the issue was "fundamental." Talks with the EU on the issue of visa rules restarted earlier this month, when experts from both sides initiated discussion of the "common steps" program approved at an EU-Russia summit in December. Visa-free travel with most of the EU should be introduced in 2014, the year of the Sochi Winter Olympics, Foreign Ministry official Anvar Azimov said last week. Meanwhile, Moscow's talks with the European Union about liberalizing travel restrictions have dragged on for years, in large part because of disagreements within the 27-member bloc. Both sides agreed in December to start a "common steps" process, basically a list of more than 40 conditions ranging from border infrastructure to passport safety. Moscow has said it expects to meet those conditions by next year, after which negotiations about abolishing visas altogether could start. Putin called for fast progress on visa-free travel with the EU during a Russia-EU summit in St. Petersburg earlier this month. But EU officials have reacted cautiously to Russian officials' comments that visas would be scrapped in time for the 2014 Winter Olympics in Sochi. 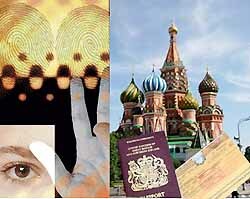 In reality, Russian citizens already face different treatment depending on the EU country that they apply to visit. EU countries that want to attract more Russian visitors, such as Spain and Italy, have started giving three- to five-year multiple-entry visas to second-time applicants, while those afraid of migration pressure, including Germany and some Eastern European members, handle visas much more restrictively. Moreover, EU negotiations affect only Schengen zone members. Britain and Ireland, which opted to remain outside the open-border agreement, will remain untouched by any deals. 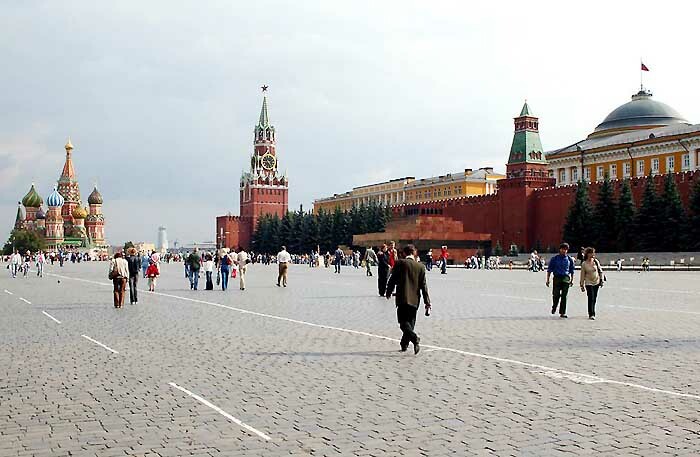 Russian travelers have responded by flocking to the consulates of countries with the friendliest policies. EU officials call this visa-shopping, and they don't like it. After being flooded with applications this spring, French consulates reduced the application period to 10 days before travel. More promising is a second set of negotiations now under way between Russia and the EU for a facilitation agreement that would introduce longer-term multiple-entry visas for some applicants, including businesspeople, journalists, scientists and students. But these talks, too, have stalled, because Moscow has insisted on including "service passport" holders in the agreement. Also known as official passports, these documents are carried by members of federal and regional governments throughout Russia. Many EU member countries do not have any equivalent for them. This has alarmed some EU countries, which have raised security concerns, said a European negotiator, requesting anonymity because he was not authorized to speak to the media. One of the skeptics' arguments is that Moscow cannot even say for sure how many people hold service passports. "The estimates range from 10,000 to 40,000," the negotiator said. Read more: The Moscow Times - 22 June 2012 By Nikolaus von Twickel . .
Yannis, somewhere in the beginning of the thread you wrote "my wife was granted a Resident Card which gave her the right, not only to reside in the UK with entitlement to work freely but also to FREE National Health Care and other state benefits" Is this a UK-only thing or something from the directive 2004/38/EC? In France, while my British husband has a carte vitale and thus gets access to free health care, I have to pay for a private health insurance until I get employed. The Directive says exactly what you and your husband, have to do...... you must have health insurance. Here in the UK, we should have followed the same way but...... depends which Town and Doctor you are registered. They decide if you get Free healthcare or not....... and implementing the directive correctly is another matter. Some people get troubles........ even following the National rules when husband is British. We were very happy that our Doctor accepted Hanna and we did not have had to have a health Insurance. My wife, after a year has started working, pay taxes and National insurance contributions ..... so she is covered under her own right. I just wonder when finally the Russian authorities will come to realise the benefits that tourism brings to a country and how much money, new jobs and Foreign investment in the country they are loosing. I think he sited the problem in his last comment that I have highlighted!